ClrMamePro is a ROM manager application. The program was created to organize files that were made for the Multi-Arcade-Machine-Emulator. Its interface separates ROM files into different categories including MAME, RAINE, MESS, PINMAME, M1 and OLD_MAME. The main interface includes buttons to access the scanner, rebuilder, merger, settings and profiler. 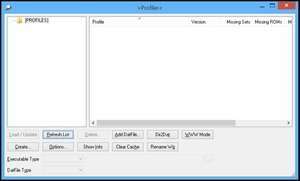 Version 4.035 is a freeware program which does not have restrictions and it's free so it doesn't cost anything. For security reasons, you should also check out the ClrMamePro download at LO4D.com which includes virus and malware tests. Additional screenshots of this application download may be available, too.